“A Nation that destroys its soil, destroys itself” -F.D.R. Tillage is a practice that involves tractors digging up, grinding, and turning soil deep enough to uproot finished crops, weeds, and fields that are being prepared for new plantings. 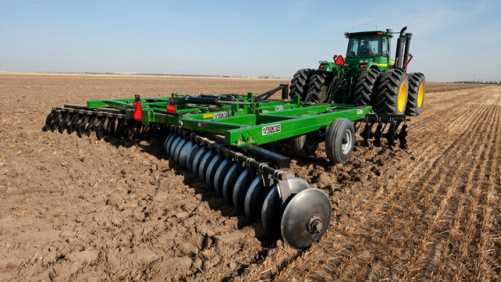 Tillage “cleans up” the soil, making it easier for farmers to plant new seeds. 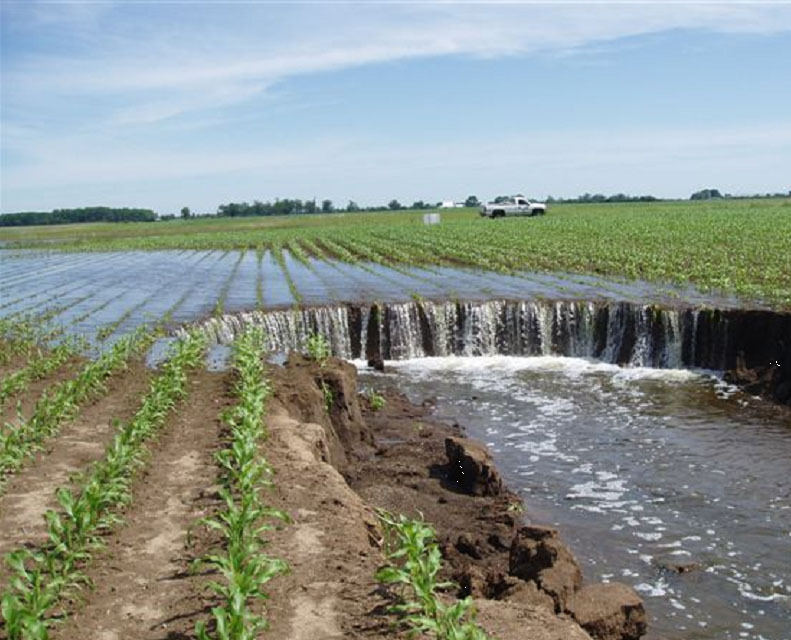 However, long-term tillage creates widespread erosion and oxidation of soil, so that whenever the soils become bombarded with rain, wind, or floods, millions of tons of soil and minerals are washed away into rivers, lakes, and oceans. Oxidation occurs in soils that are exposed to the air after being turned over, causing microorganisms to perish, and carbon to evolve into the atmosphere as carbon dioxide. The presence of gullies on farms are one sign of massive erosion taking place currently or in the past. The Mississippi (known as a muddy river) is a good example of how rivers carry soil from adjacent farms into the ocean through the Mississippi Delta, into the Gulf of Mexico. The amount of soils lost through this river is ~10 metric tons/second. Another way to look at it is for every pound of food consumed in the US, there are six pounds of soil lost. Under natural conditions, it takes five-hundred years for just six inches of soil to form. What this makes me realize is that the soils that the human race currently depends on for most of its food is soil that was formed before we even conceived of the idea of agriculture. For the last 10,000 years we have been living off of soils which became fertile long before we walked on two feet. Is tillage something that only conventional farmers practice? No, both conventional and organic farmers practice this style of agriculture. From a soil fertility standpoint, both conventional and organic essentially scrapes food out of the dirt, passes it through humans, and dumps it into the ocean. What about no-till farming? No till-farming is a much better approach to growing field crops, which requires that a farmer allow a harvested crop to decompose back into the soil instead of being ripped out by machine. Some no-till farmers report that after years of not tilling their soil, they have a build-up or organic matter that is so large that plant productivity drops, as it becomes almost impossible to fertilize and/or plant new crops into that soil. As a result, tillage will be used to remedy the situation. Soil scientists have been advising farmers to practice no-till farming for years, and for many, it doesn’t seem to be going as planned. Many farmers practicing no-till farming find that leaving crop residues on the ground to compost back into soil will simply remain on the surface for years, virtually unchanged, making it difficult to continue farming the soil. Soil scientists have discovered that soils that don’t quickly decompose organic residues are like that because the microbes (fungi, bacteria, etc) that are supposed to be doing that work are deficient in certain specific minerals. This relates to the idea that when a farmer uses a fertilizer, they aren’t just feeding the plants, they’re also feeding the microbes. The problem with large-scale farms is that they tend to use the cheapest fertilizers possible. These are typically NPK fertilizers, containing Nitrogen (N), Phosphorus (P), and Potassium (K). These are considered to be the three most important minerals for plant growth, but they aren’t the only ones needed. Plants, and all other life forms also need varying levels of: Calcium, Magnesium, Sulfur, Iron, Molybdenum, Zinc, Manganese, Copper, Boron, Nickel, Chlorine, Cobalt, Iodine, Selenium, Silicon, and Sodium. Interestingly, if you look at the mineral profile in all oceanic life, such as seaweed and fish, you will find that they contain 90 minerals, which includes this list and much more. According to the NRCS (natural resources conservation service), the United States loses 6 lbs of soil per 1 pound of food eaten. In developing countries tend to lose 12 lbs of soil per pound of food eaten, and China loses 18 lbs of soil per pound of food eaten. To put that into perspective, an average American only lives about 27,000 days in their lifetime. We are here for a blink of an eye, but what impact will we have in that short time? The average American will eat 148,000 lbs of food, and knowingly or unknowingly destroy almost a million pounds of dirt, which is as much soil as 50 full dump trucks could hold. Just one average human life. It takes 500 years for nature to build one inch of topsoil! In order to grow good crops, at least 6 inches of soil is needed, which takes nature 3,000 years to build. 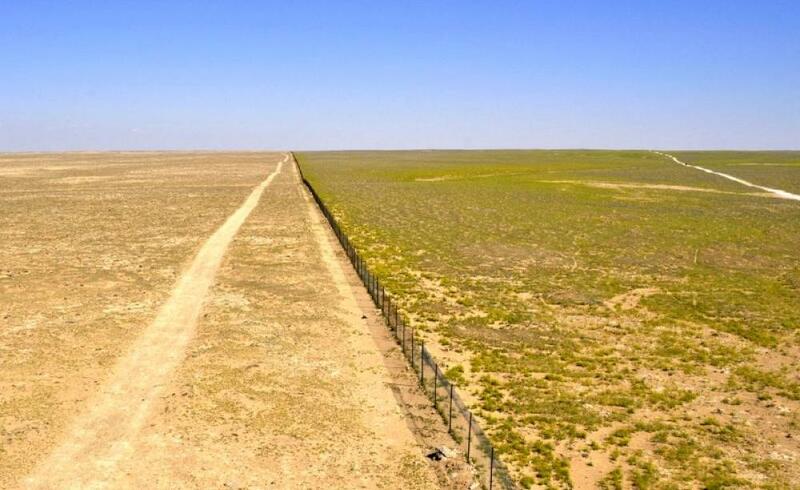 Phase 1: Most of the erosion taking place on our soils is from overgrazing, which is the practice of allowing animals like cattle, sheep, and goats to eat so much of the vegetation on the ground that no roots are left to hold onto the soil. Farmers who raise these animals primarily use publicly owned land to do this. Because feeding animals is so expensive, farmers don’t want to have to buy grains to feed their animals. They would rather turn their animals loose on wild lands to graze on whatever forages they can find. With multiple farmers competing for the same lands for grazing and increased demands for meat, the land very quickly becomes overgrazed. Phase 2: Additional erosion takes place when tractors grow grains like corn, beans, rice, wheat, and barley. Every time these crops are grown, tractors will till the soil to remove all the biomass to prepare the soil for another round of crops. But during this waiting period when the soil is left bare, significant losses of soil occur. 70% of the grains we grow in the US go directly to feeding livestock for meat, dairy, and egg production. So what you basically have is lots of animals overgrazing large areas of land until they’re big enough to be finished in a CAFO, (concentrated animal feeding operation) where they will be fattened up on grain before they are slaughtered. The other major contributor to soil erosion is deforestation (for logging purposes), and one major cause of deforestation, especially in the rainforests of South America, is to make room for cattle ranching! Basically, soil is being destroyed at an alarming rate, and the main reason is because of demand for meat, dairy, and eggs. We’ve got the hunger for meat so powerfully, that we are willing to scrape the ground for food to feed these animals until there is nothing left. Whether you buy organic or conventional food, our soils are being systematically dumped into the ocean. 30% of US farmland has already been abandoned b/c it is no longer suitable for agriculture. Good farmable soil is also being lost b/c of urbanization, building residential neighborhoods, parking lots, and shopping centers. We lose 175 acres of farmland every hour because of development. As the human population of earth continues to grow exponentially, there will be exponential demands for food, which means a lot more dirt will be lost, and a lot more dirt will be needed. It’s estimated that we will need to grow more food in the next 40 years than in the previous 10,000 years. The reason we are standing here today in this modern world is because of soil that was naturally built thousands of years before humans ever thought of the idea of agriculture. So what’s the answer to having healthy soil? You need to have all of the 90 naturally occurring minerals, sufficient carbon in the soil, oxygen, water, and sunlight. The only practical way to do this is to start composting/mulching, proper irrigation/rainfall, and fertilizing with the right minerals as needed. The farms that we depend on for food either started out productive before humans ever touched it, or it became productive because humans systematically figured out what it was missing and started adding it. The widespread use of NPK fertilizers without all the other essential minerals is very problematic both for soil health and for the nutrition of foods grown on those soils. Imagine a farmer growing a field of corn, harvesting the corn, and selling the corn to a market. That represents a loss of biomass and minerals from that farm. The farmer then begins to grow another field of corn in the same spot, but this time adds NPK fertilizer, harvesting the corn, and selling the corn to a market. More biomass and minerals have been lost, but rather than NPK which is now being added, all the other minerals are starting to become gradually diminished. After adding NPK and pulling corn out of the soil for fifty years, one can expect that this soil will have plenty of NPK, and not much else. In this case, the soil will begin to lose productivity as its organic matter content declines. Adding excessive amounts of NPK will also cause microorganisms in the soil to grow faster, but in doing so they will end up using up the carbon in the soil. This is why adding NPK fertilizers will eventually “burn up” the organic matter content of soil. It’s not that the fertilizers are bad, it’s just that carbon is being used up, which will eventually kill the life of the soil. So what’s the solution to this? The answer is to add more carbon to provide more food for the microbes, plus ALL of the minerals that organisms need. The soil has been good to us, and we have taken much from it, now it’s time to give back. How can we regenerate soil? The easiest way to minimize soil loss is to adopt a plant-based or vegan diet. There isn’t a big difference between a modern day vegan and an average person 100 years ago. Before the industrialization of grain, then livestock, most people either couldn’t afford, or didn’t have the capacity to eat meat very often, if at all. That’s because feeding an animal is no easy task, especially when your animal needs the very food you grow to feed yourself (such as corn and beans). Water lentil (duckweed) grown hydroponically is a nutritious vegetable with as much protein as beef. 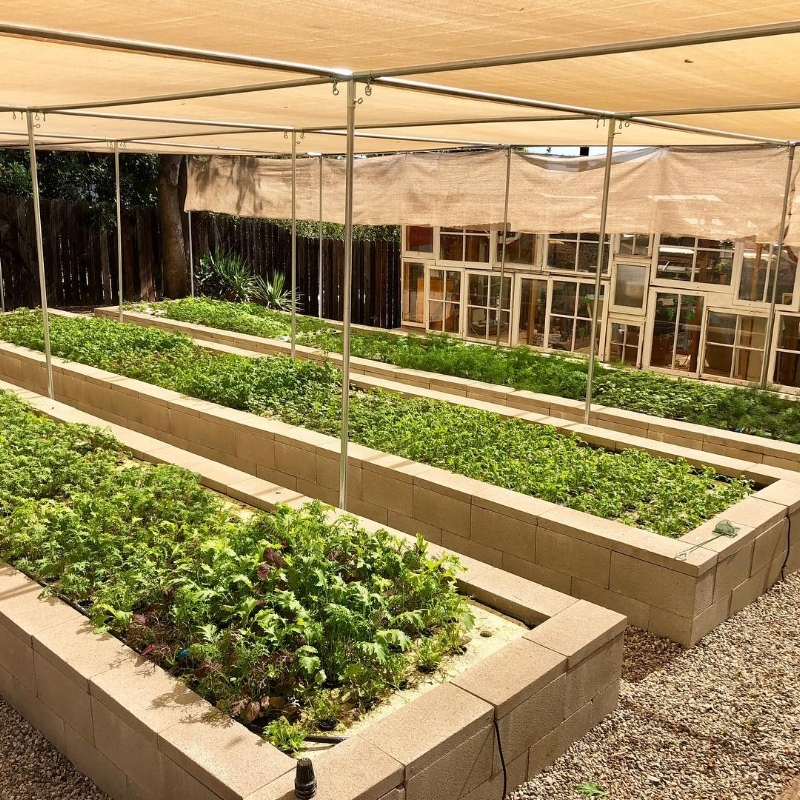 Biointensive sustainable mini-farming has the ability to build up to 20 lbs of soil per pound of food eaten. No tractors tilling up the soil, just human hands and garden tools. If farms are broken up into more manageable sizes so that tractors are not necessary, then soil building becomes realistic. Composting all household waste is perhaps one of the most important things humans can do to regenerate soils. 2. Raised bed gardens help to hold onto soil so that they can’t just wash away. By design, they keep soil held within a large container that can be routinely fertilized and watered. 3. Food forestry is a way to grow perennial (long-lived) food crops that can be non-destructively harvested so that the plant can continue to grow and produce fruit/nuts/legumes in the future. If fruit trees are permanently planted in the ground, their roots will hold onto and shade the soil, allowing it to become richer over time as leaves and compost are added. Our mission is to create a culture around small-scale gardening and cooking that transforms the political and physical landscape of Los Angeles into one of beauty and resiliency.